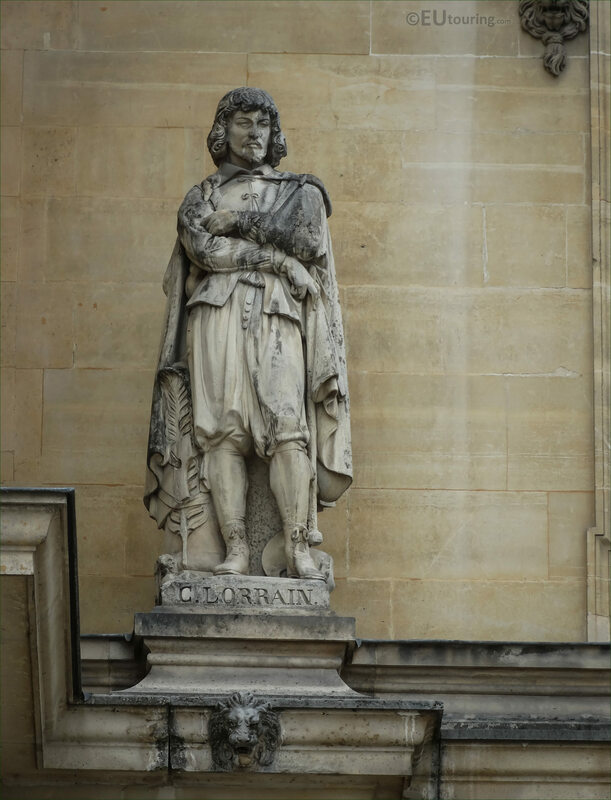 This time while we were admiring the facades on the famous tourist attraction of the Musee du Louvre in the 1st Arrondissement of Paris, we took these high definition photos showing a statue dedicated to Claude Lorrain by Auguste-Hyacinthe de Bay. 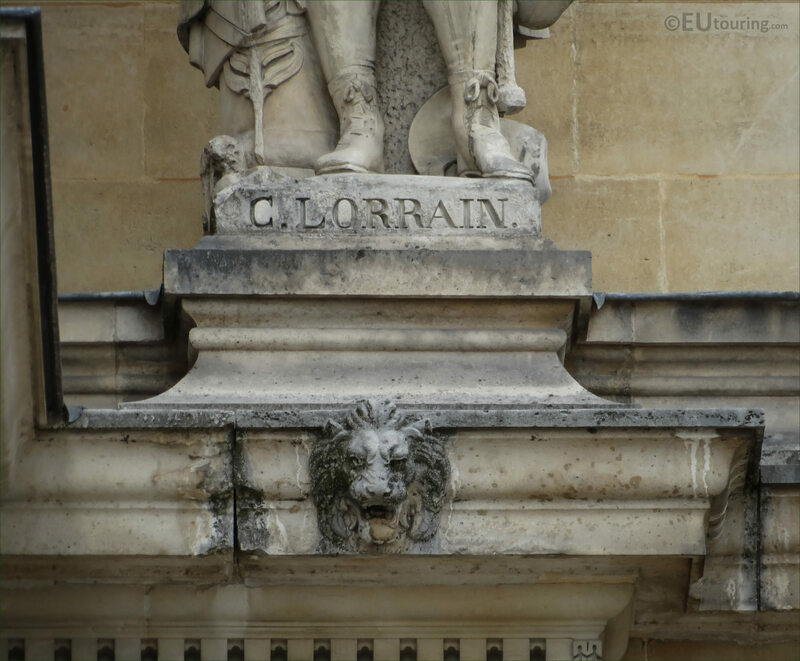 Now this stone statue can be found on the Aile Henri II wing on the first level balustrade, and as you are looking at the facade from the Cour Napoleon, it is positioned as the very first statue to the left hand side right next to the Pavillon Sully. 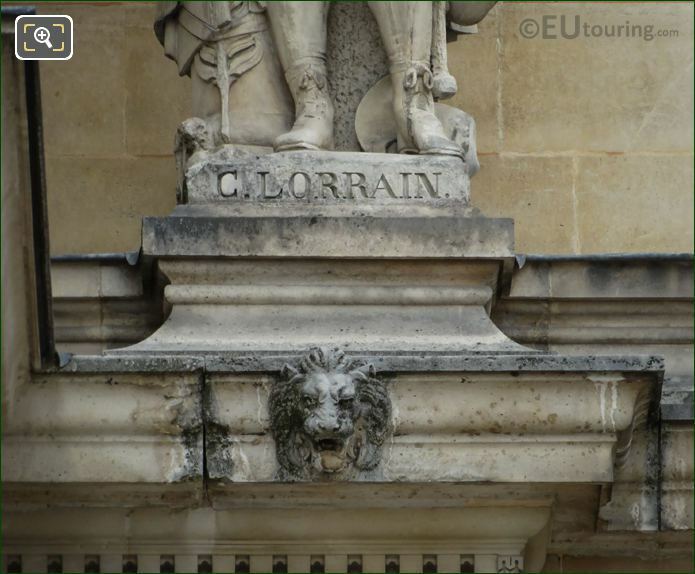 So this statue of Lorrain you can see in this photograph was produced by Auguste-Hyacinthe de Bay, which is sometimes spelt Debay, and he was born in Nantes in April 1804 and learnt to be a sculptor at a young age from his father who was also a French sculptor. 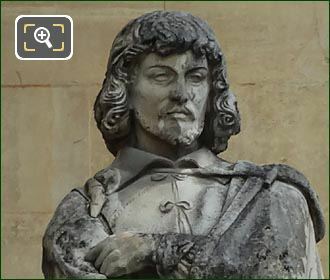 Yet initially, Auguste-Hyacinthe Debay studied historical painting when he was admitted to the Ecole des Beaux Arts and even though he was awarded the Prix de Rome in this field, he gave up painting and went back to sculpture works for the remainder of his life. 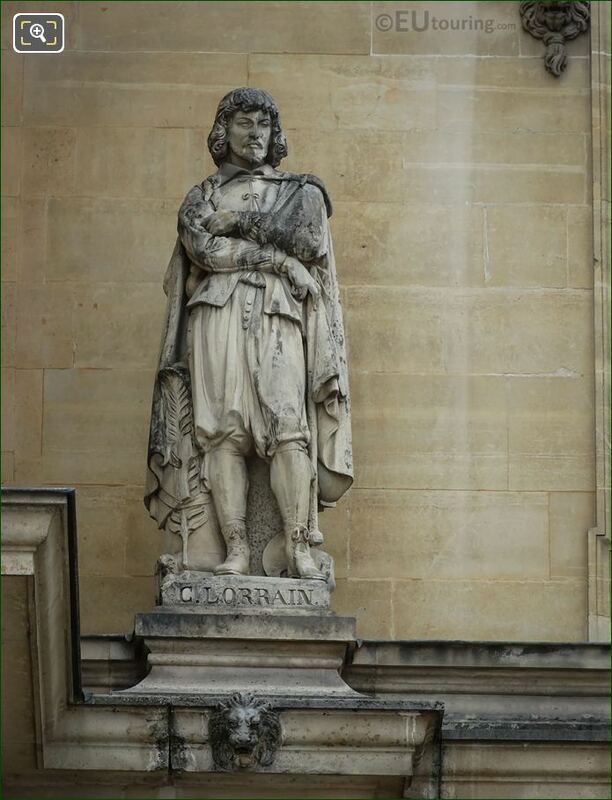 And in this last close up HD photo you can see the plaque on the base of the stone statue that depicts Claude Lorrain, however, he was born around the start of the 1600s with the name Claude Gellee, yet he is also sometimes referred to as Le Lorrain. He was born in the Vosges area of France and became a French painter, having been taught initially by his elder brother, but rather than staying in France he travelled to Italy, which is where he spent the rest of his life. Yet his landscape paintings received international recognition and he was commissioned by people such as the French Ambassador in Rome, the King of Spain, the Pope and many others, and is recognised today for his achievements and skill he put into producing brilliant landscapes, utilising the sun as a source of light for his paintings.